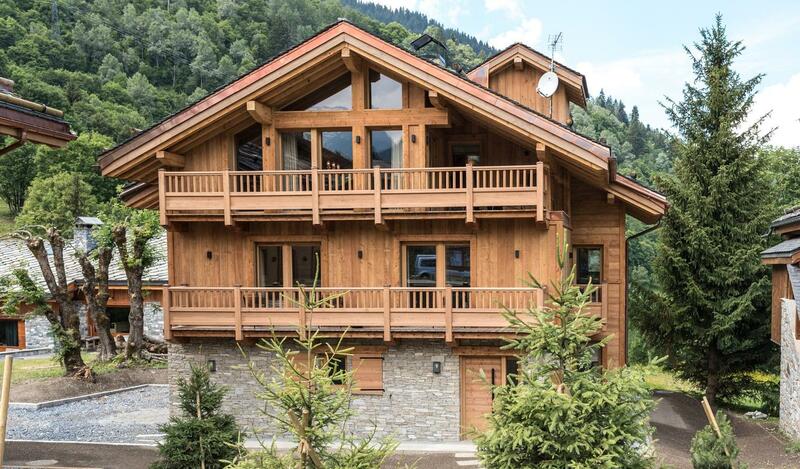 Hameau Saint Jacques consists of two chalets for sale in Le Raffort in Meribel Les Allues. 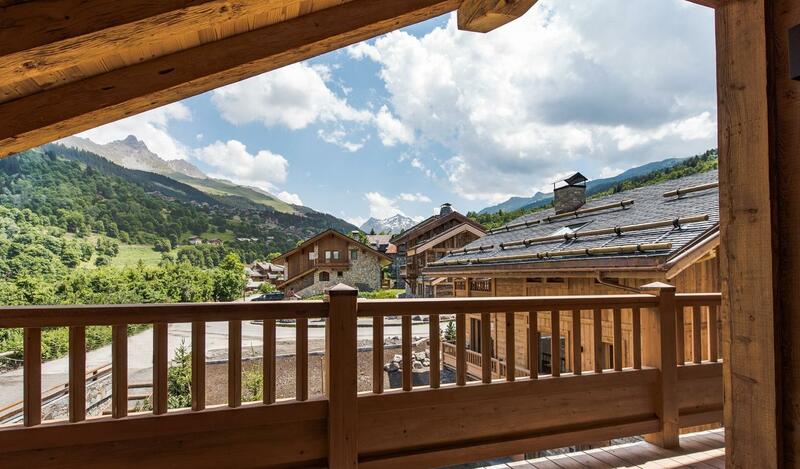 Close to the ski lift and offering stunning views, these properties are ideal for families seeking a high-quality chalet close to the slopes in a tranquil setting. In a quiet yet close to the centre location, Hameau Saint Jacques chalets are exceptional due to their high-end facilities, especially on the lower ground floor. Located on the same plots but with enough space to grant future owners privacy, both chalets have their own TV room, spa and lift. The two properties are spread over four levels on 211 and 260 sqm respectively, whilst all bedrooms (both a five and a six bed available) have an ensuite bathroom. Both properties also benefit from plenty of exterior space on the first and second floor, offering stunning views over the valley and the surrounding mountains. Finally, both chalets are close the Saint Jacques chapel, close to the Raffort pistes and its ski lifts at just 200m, whilst the centre of Meribel is just a five-minute drive. It’s a rare opportunity to find a new-build property that is already delivered, furnished and ready to move in. Generally, developers tend to put properties on the market while the construction is still underway. However, with this property, you don’t have to imagine living in a property that you haven’t seen – these chalets can be visited at any times and it’s still possible to recuperate the VAT afterwards as it is considered as a new-build. Whilst prices in the centre of Meribel often reach €26,000 per square metre, Le Raffort tend to be cheaper due to its lower altitude and quieter, and still have easy access to the pistes and stunning views. With a price per sqm ranging from €16,000 to €17,500, these chalets are well valued compared to the competition, given their in-house facilities and the quality of finishes. Located in the Three Valleys, the world-famous resort of Meribel is located in the centre of the ski domain. With more than 600 km of interconnected slopes and 120 km of cross-country skiing, the Three Valleys is the largest ski domain in the world. Composed of three main villages, Meribel have very strict rules in term of new construction, which maintains authentic architecture in the resort.